President Barack Obama is set to give his inauguration address today. The crowd is much smaller than his first term as is his popularity. The new Gallop poll shows Obama at a 49 percent popularity rate. While he remains personally popular, the overall popularity rate below fifty percent is comparable to Jimmy Carter and Gerald Ford — two presidents who ultimately languished in office. Frankly, I think it is very disappointing that former President George W. Bush is not present. That absence takes away from the celebration of our unified faith in the democratic system. Leslie and Jack have gone to listen to the inauguration downtown with my brother and his two kids. My 86-year-old mother drove in from Chicago with my brother for the inauguration. She was here for the first Obama inaugural and remains a steadfast supporter. However, given her mobility limits, she is watching on television with me and the three other kids. I have to write on the speech for USA Today so logistics (and laziness) has me watching a home with my mother. For civil libertarians, this inauguration is not as joyful as it is for many others. As I have written previously, Obama has been a disaster for civil liberties and left many of us . . . to put it lightly . . . estranged. I do not consider Obama to be an inspiring figure after his first term. It is not clear if he will embrace the principles that he abandoned so quickly in his first term on surveillance, privacy, torture, and secrecy laws. While he is free of the pressure of a future election, his party leadership is expected to continue the same policies and cynical treatment of civil liberties. The Republican offer no better alternative. Obama has created an imperial presidency by general acquiescence – the silence of liberals who remain loyal to Obama as an individual despite policies that are anathema to traditional liberal values. For that reason, many of us now see Obama as a symbol of the loss of principle and values in our political system. The rampant hypocrisy that inundates our policies and politics has become stifling. My respect for Obama’s family and his personal character does not overcome those conflicts over constitutional principles and civil liberties values. I also continue to amazed at the coverage by Fox and MSNBC — two networks that tend to follow predictable takes on Obama. MSNBC anchors have been gushing over his popularity despite the polls showing little change in the unpopularity numbers. Fox has been highlighting the divisive views of Obama to a degree that makes him look like a bunkered recluse. It is part of our new echo chamber of news where people just watch networks that reaffirm what they want the world to look like — despite evidence to the contrary. I do view this as a celebration of another peaceful transition of government and always have the kids watch, I do not view inauguration speeches as quite as significant as suggested by the coverage. 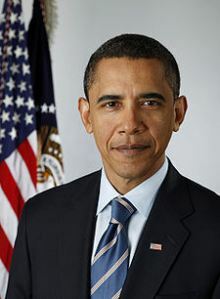 I do not expect that the 51 percent on the unpopularity side of Obama are likely to be transformed by a speech — any more than many were won over by Bush’s speech. We all can take pride in the stability of our system and another peaceful transition. Yet, on Tuesday, we will still have a dysfunctional political system controlled by a monopoly of power by the two parties. For those who want change, it will have to come by seeking changes in this system against the fixed interests of these parties and the White House. Saleh has been known to exploit the threat of terrorism to leverage counterterrorism dollars from the United States. But this case was different. Abdulelah Haider Shaye is not an Islamist militant or an Al Qaeda operative. He is a journalist. AMY GOODMAN: And tried to destroy Jerome Starkey’s reputation, meanwhile, back in Kabul in a news conference. JEREMY SCAHILL: Yeah, I mean, Jerome Starkey—there’s a couple of journalists in our film who really emerge as the heroes of the story that we’re telling. Another one is currently in jail in Yemen right now, and we can maybe talk about him, named Abdulelah Haider Shaye—and we’ve talked about him on the show before—in jail because President Obama intervened, when he was about to be pardoned, to keep him in jail after he exposed the role, U.S. role, in certain missile strikes. AMY GOODMAN: What do you mean he intervened, if you could just say for a moment? JEREMY SCAHILL: Well, I mean, there was—the journalist who first exposed the missile strike I was talking about earlier in al-Majalah, Yemen, Abdulelah Haider Shaye, had taken photographs of the U.S. missile parts, and that’s how we first learned that it was in fact U.S. cruise missiles. And Yemen doesn’t have cruise missiles. And so, after he did his reporting and continued to report on the expanding U.S. air war in Yemen, he was snatched from his home by the U.S.-backed Yemeni counterterrorism units and then was put on trial for allegedly being an al-Qaeda facilitator or propagandist and was sentenced to five years in prison. There was huge protests as his trial was denounced as a sham by international human rights and media organizations. And he was about to be pardoned by the Yemeni president, because there was tremendous pressure in the country, and then President Obama called President Ali Abdullah Saleh and expressed his concern over the release of Abdulelah Haider Shaye. JEREMY SCAHILL: The reporter. And then the pardon was ripped up after that. And his lawyers say, clearly, that he’s in jail because of Obama’s intervention, that he would have been released. And lest you think this is some kind of a conspiracy theory, you can hop onto the White House website and see the readout of the phone call from that day. The White House put it openly. When I called the State Department to ask them about the case, they said, “We stand by President Obama’s position on—initial position on this,” regarding this journalist. They don’t even refer to him as a journalist, “regarding this individual.” He had worked with ABC News, The Washington Post — you know, very small, unknown media outlets. And I heard from a very—someone inside of a very prominent news organization in the U.S. told me that they had been called by the administration when they were working with Abdulelah Haider Shaye and told that “You should stop working with him, because he takes his paychecks and gives them to al-Qaeda.” I mean, they tried to slander this journalist behind the scenes and in front. AMY GOODMAN: Jeremy, talk about President Obama’s first four years and where we’re going now. You got a chance to hear his inaugural address; what you thought of it? JEREMY SCAHILL: Well, you know, I think if we look back at the—at the first term of the Obama administration, what we saw was you had this very popular Democratic president that had—who had campaigned, in terms of his broader rhetoric during the presidential campaign against John McCain, on the notion that he was going to transform the way that the U.S. conducted its foreign policy around the world. And, you know, he then proceeded to double down on some of the greatest excesses of the Bush administration. If you look at the use of the state secrets privilege; if you look at the way the Obama administration has expanded the drone wars; has empowered special operations forces, including from JSOC, the Joint Special Operations Command, to operate in countries where the United States is not at war; if you look at the way in which the Obama administration has essentially boxed Congress out of any effective oversight role of the covert aspects of U.S. foreign policy, what we really have is a president who has normalized, for many, many liberals in the United States, the policies that they once opposed under the Bush administration. And, you know, this really has been a war presidency. AMY GOODMAN: What do you mean, “Terror Tuesday” meetings? JEREMY SCAHILL: Well, that’s what they’re referred to. You know, senior—when this first came out, senior White House officials said that they internally refer to them as “Terror Tuesdays,” where they meet and they go over the list of potential targets. And they have them, you know, on baseball cards in some cases. And they’re identifying people that they want to take out and that are on the U.S. kill list. And we have an ever-expanding kill list. You know, after 9/11, there were seven people on the U.S. kill list, and then we had the deck of cards in Iraq and Saddam and his top people. I mean, now there are thousands; it’s unknown how many people are on this kill list. And U.S. citizens—three U.S. citizens were killed in operations ordered by the president in late 2011, including, you know, as we reported on Democracy Now! before, the 16-year-old Abdulrahman al-Awlaki. JEREMY SCAHILL: Well, I mean, this was something that started under the Bush administration, and when President Obama first took office, he was briefed on this by the then-director—the outgoing director of the CIA, Michael Hayden. And he described to him this policy that they had developed called “signature strikes,” where they were looking at patterns of life. If an individual had contact with certain other individuals, if they were traveling in a certain area at certain times, if they were gathering with a certain number of people, that there was a presumption that they must be up to no good, that they are suspected militants or suspected terrorists and that the U.S. could take preemptive action against those people—and by “preemptive action,” I mean killing them with a missile—that there was authorization to do that. In some cases, the president has actually pre-cleared theCIA to authorize these strikes without being directly notified. But President Obama, my understanding from sources, you know, within the intelligence and military world, has really sort of micromanaged this process. And, you know, Brennan has been—Brennan is basically the hit man of this administration, except he never has to go out and do the hitting himself. He orders, you know, planes and missile strikes and AC-130 strikes to, you know, hit in Somalia, in Yemen, in Pakistan. You know, we’re looking right now at a reality that President Obama has essentially extended the very policies that many of his supporters once opposed under President Bush. And I think it says something about the bankrupt nature of partisan politics in this country that the way we feel about life-or-death policies around the world is determined by who happens to be in office. I mean, that’s—that, to me, is a very sobering reality. I have not been able to get back to this thread since I posted. idealist707, I just wanted to say thank you for differing with me respectfully, understanding the point I was making (versus DonS, for example), though not agreeing. If it sounded like I was hectoring, it was because I was — I have seen a lot of the left rightly aghast at compromises Obama has had to make, or at legislation that has been passed in various states or on the Federal level in the last two years, but I have seen virtually no acknowledgment from the left that the fact that they chose to sit out the 2010 midterms is why we ended up with a such a lurch to the right. We are right to be angry or frustrated, but we have to acknowledge the role we played as well. He had help. A fact recognized more often than not in this forum. When it comes to polls I dont read Gallup anymore or Rassmussen. I like a pollster analyst called Nate Silver. You have all heard of him. If Gallup were to be trusted we would have had a gypsie named Romney (nee Romanich) take the oath today. This President will take us forward. I thought the speech was good but not remarkable, but then I can remember watching JFK’s innaugural address, which at the time was riveting. I was 16 at the time and much personal and public tragedy was coming to an unsuspected future. Missing of course were many issues that we deal with here, such as torture, Constitutional liberties and the power of the corporate plutocracy. Would we expect that they would be addressed? As for the peaceful transition of power, my own thoughts are that the real power in this country is opaque. It’s not hidden but nobody in the mainstream media ever addresses it directly. His reference to Stonewall was an important one to be made. As far as GW Bush being absent, was he not invited, or did he decline to come? SWM, I hope the surgery goes well. Please don’t lose your soul if you move to Spin City. I have 2 kids in their 20’s. The job market is still horrible. My fear is our kids will have it WORSE than we did. Kids that age don’t expect SS to be there when they retire. We are shitting on our children’s future by giving them this historic debt. It’s despicable. Obama still chewing nicorette gum today- dont ask how I know this. Gotta agree with Frankly on that one. Political evil is like the peppers I grow … some are hot and some are not so hot. You find it DISAPPOINTING that Boy Blunder is not there?!? Yeah and I find it disappointing that the black plague has not had a come back too. The country is better off the further the worst President in the history of the country is from any center of power. No,it hasn’t quietened. My sys had lost its hearing. Apparently OK now. Has it quietened here? I was away hoping for the latest; Is he alive, assassinated or what. TheTelegraph, Googles top choice, gave skit from the walk in the death zone. They O and M seemed more relaxed. He has showned those that paid him that he knows his place, no matter what his color. (I had a white swede billionaire as wardroom companion whose suntan made him darker than Obama appears to be.) And in the four years with his leadership, the checks have lead to a thinning of the ranks of the nuts, and he won’t go the way of JFK. Now C-span says they are on the way at 8PM your time. I clipped a bit of text from Cspan to post as consolation prize to SWM. With all my love. Now I am exhausted—-don’t cheer! And will as a condition to hold me up 30 minutes more will no longer kibbitz. PS Notice how each and every inauguration tops the previous one. What amateurs they were in Truman’s time. Just shows what Hollywood et al can do if you let’em. Was it Nixon who started the 1776 troop stuff. Now they look like done by a cookie cutter. Who knows, maybe they are. They aren’t real soldiers who die in Afghan, are they. When did you see a gold-starred window to remind you of another’s loss. Nothing like a professional army manned by the poor. Talk about equality, which is said to be one of the component parts of big O’s speech. I agree with your approval rating! BTW Mrs. Turley (both of them but my reference is to the senior one from Chicago) has a 100% approval rating with me. Sort of applies to Obama, too. See, there’s wisdom in age.